When I was born, it took papa an extra day to come visit me in the hospital. I was born just as the Indo-Pak war was announced. It affected Bombay. It was 1971. He said it was his job to keep the city safe. When he first saw me, he said I reminded him of his mother. He loved her dearly. I thought he meant I was a pretty baby, perhaps a gorgeously chubby, cuddly child with dimples, perhaps I never cried or fussed. But my mother said I cried just as much as the other children she knew. In my childhood photographs, I see glimpses of a plain looking child with a head full of hair. People thought my family starved me, or I was adopted because I was very skinny. Actually, that was because I was a finicky eater. How can a father love someone like that? That was the first lie he told me. When I was older I wondered perhaps if my grandmother knew that papa thought I looked like her, that my feet curled like hers—perhaps she might have loved me? Papa said she did, but just that I did not understand her. He said that if we tried to spend more time with her, it would help. We tried and it didn’t change anything. That was another lie he told me. Papa was a career policeman. If you lived in Bombay in the last quarter of the twentieth century, you either knew him or knew of him. He was one of the good guys who kept the bad guys off the streets. He was shot in 1979 by two small-time thugs—who preferred to harm human life instead of pursuing an honest living. When he woke from his unconsciousness two days later, he said he would be alright. He said that my kisses would make him better, that he would heal. It was all a lie. Doctors could not remove 56 pieces of shrapnel from his body, more than half of what had entered him. The shrapnel pinched and hurt him every day. It destroyed his ability to enjoy food when he was older. It stung on wet or humid days or on cold days—he had lied that he would be OK. He carried those pieces and the scars in him and on him for all his life, never complaining. He lied, he never healed. I was only 13 when I cooked my very first meal for him. Even then he lied through his teeth. He said it was the tastiest thing he had ever eaten and cleaned his plate. When I tasted it, I found that it was spiced wrong, there was too much salt, too little ghee, not enough ginger, something was raw, something else was burnt. Papa, you lied again. Did you have to? Papa’s career meant his finger stayed on the pulse of alphabet gangs. Nearly every crime reporter from every local newspaper had interviewed him. The Indian Government honored him with many medals and commendations for his bravery and unflinching service to the country. He helped crooks reform. He was kind like that. Despite his injuries, he spent 40 years chasing and apprehending the really bad guys, without a bullet-proof vest—he had not been issued one. He believed he had put away enough “really bad” people to keep children like me safe. He assured us that they would stay there, “put-away.” But like the wisps of bad odor they managed to slip out, find dark corners to thrive in, multiply and stink up everything. That was another lie he told me. It was just not enough because there are so many more manifestations of fear. I don’t feel safe. I wanted to be an international air hostess, to see the world and travel. I wanted to be all dressed up like the women in glamorous commercials, like one relative who bragged about their travels abroad but who rationed their now ordinary supplies of sliced cheddar cheese, Nutella, peanut butter, or Tang. Just like another relative who told us about interesting people and who had an unending supply of tiny bottles of gin, whiskey, or wine. Whenever I would become one like them, I promised not to ration simple treats, especially when I had children of my own. Papa drove me to that interview. I did not make the qualifying round. He said it was okay, that I would find something better. He said he was sorry. He lied. I failed because “someone” in the family did not want me to move on. Papa knew the person, yet said nothing to them or me. Mummy comforted me, said he was relieved that I was not leaving. But I wanted to study abroad. I applied to colleges in America without telling him. Who knew I would actually get accepted? When I was accepted into a college program I liked, Papa and I argued and fought for several hours. He said it would be too expensive, there was too much unknown out there. He found every excuse to say “No.” Mummy whispered in my ear: he did not want me to go far. Papa wanted me to get married instead. I reasoned with him: this was like getting married, except there was no groom, in-laws, ceremonies, or caterers. We argued some more. I finally convinced him. He said that I could come back home whenever I wanted. He tried to lighten the mood by saying that we could argue again like old times whenever I returned. As I left, he told me his short but no-nonsense list of expectations of what made an ideal son-in-law. When he dropped me off at the airport as I left for America 20 years ago, he promised to be there each time I returned. He tried to keep his promise. But then, his health began failing and eventually he lied. I knew I should not have gone home last summer, I had a bad feeling about the whole thing, I should have known he was going to lie to me again. We argued again last Fathers’ Day, because, well—because Papa and I saw the world differently, just as we always had. He knew I was leaving for my other home in a few days, to be a grown-up again. So, instead of exchanging another goodbye with me, Papa left for someplace where I can’t see him anymore. Papa left first; he headed away to a restful place of no return, to be with the spirits of his brother and his parents, away from the pain he had endured all those years, from the lies he told us to protect us. “Passed away,” “expired,” “left for his heavenly abode”… I struggled to match a suitable word to describe his absence from the living world for others to understand. But those expressions did not tell anyone “who” he left behind nor how cheated we felt of having a fuller lifetime with him. It is nearly a year since his passing. He continues to smile at me from a stupid picture frame in my study. He is with my mother in that old photograph, taken twenty years ago. They were happy, it was a simpler time. He had promised to stay with her for eternity, he lied to her too. But I swear, he lied to me the most. He won’t be there whenever I go back to my childhood home next time, nor the time after or ever again. I won’t see him towering above the crowds at the airport, waving at me past the customs, waiting to hug his jet-lagged and smelly loves, nor will he be at the house door, sitting in his chair just past the threshold waiting patiently as mummy welcomes me with her arti plate after she has cleansed away “the evil eyes” with a bowl rice soaking in water. He won’t see me walk in nor will he stay up to talk with me while I recover from jetlag. He won’t walk our farm with me at the crack of dawn on my first day back nor lead me to the lime tree I had grafted many decades ago, nor will he tell me how it bore more fruit this summer than the last. He won’t slide the English newspaper across the dining table as we sip our morning tea and mumble: “Hmm, I’m done with this one,” as he moves on to read the same news in another English daily, then the Gujarati newspaper and lastly in the Marathi one. 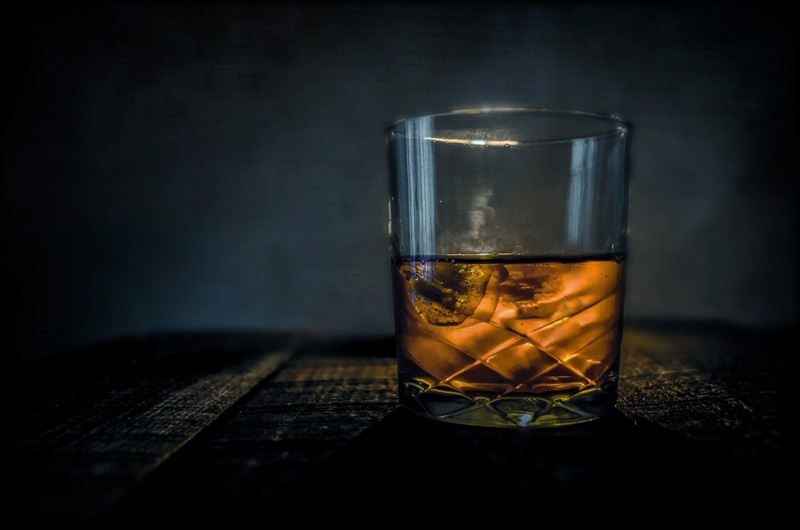 Nor will he be there at the end of the day for our occasional post-dinner indulgence from his stash of old whiskey, he drank his with a splash of soda water and ice, mine was neat. He won’t be there to remind me to never let someone disrespect me, or that I must remain strong and strong-willed because I will always be his daughter. I will have to do that all on my own. But what I hate the most is that when I “have” to be a grown-up again, to tackle my grown-up responsibilities, he won’t tell me once more that I can always come home and be his child again. My papa won’t be there at the door to wave me goodbye when I return to my other home. He won’t ever be there again. Papa, you had promised you would. I don’t want to wish you this Fathers’ Day, Papa because you lied. This time, you really tricked me. You forgave easily but I can’t. How can I forgive you while you sit behind a glass frame inside a photograph? Damn it, I can’t even argue with you anymore, papa! Do all fathers’ lie to their daughters, like you did? Perhaps they do. But then again, Happy Fathers’ Day, Papa. Until we meet again, to argue once more. I will bring us some good whiskey this time. And do not raise your eyebrows at me that I prefer mine neat. 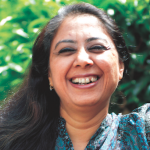 Nandita Godbole is an Atlanta-based food writer and an Indie author of several cookbooks, whose readers reside in more than 30-countries globally. Nandita most often writes about two of her favorite things: simple, flavorful, and holistic Indian food, and about family: the joys and complexities of delicate personal relationships. She started Curry Cravings ™ to dispel the myths about Indian curry. She shares her personal journeys via essays, often through her own blog Curry Cravings Kitchen, and shares select pieces with Khabar Magazine, Huffington Post (India), Medium and others. She has often challenged the status quo, earning her interviews with NBC-Asian America, Fox-5 Atlanta, Atlanta Business Chronicle, Publishers’ Weekly, Broadly.com, Nubi.com and many others. She is currently working on her fourth cookbook steeped in personal family histories: “Not For You: Family Narratives of Denial & Comfort Foods” (Turmeric Press, 2017), a novel about how curating culinary heritage can shape comfort foods. Next articleThe 9to5 Misfits Talk About Their Experience Immigrating to the U.S.